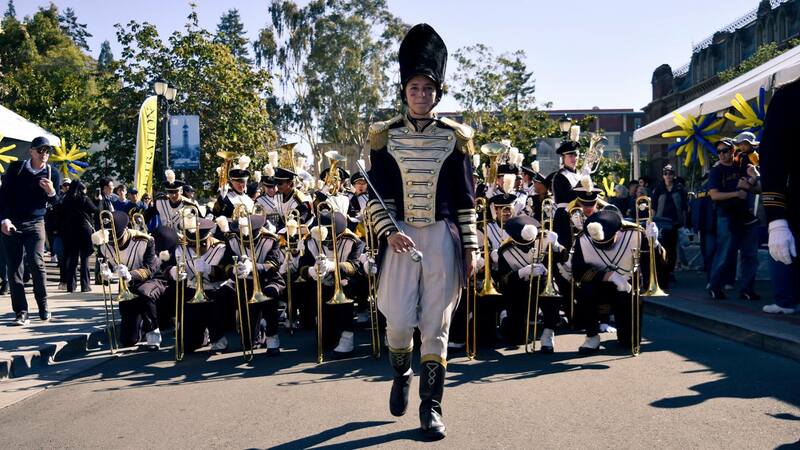 The Cal Band is one of few remaining student-run marching bands in the country. Our members run rehearsals, choose the songs we play, create the field shows we march, coordinate the trips we take, and advertise our organization throughout the community. We have one paid university staff director who serves on our Executive Committee. The rest of this committee’s members are bandsmen elected by their peers. Similarly, the members of the five committees (PR, Musical Activities, Administrative, Marching, and Internal Relations) are all comprised of selected bandsmen who excel in their respective fields. This creates a unique opportunity for our members to familiarize themselves with the workings of the University and to gain valuable work experience and resume material, like organizing away trips, recruiting for the band, or designing graphics for our website. 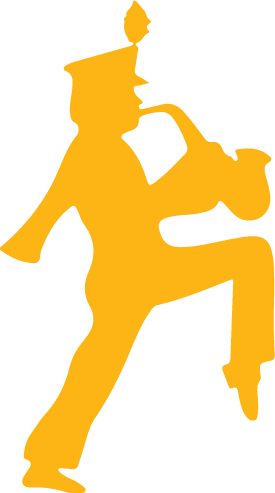 Unlike many other college marching bands in which staff dictates band policy and performances, the Cal Band decides policy and performance schedules through committee vote and full band opinion, thus allowing Bandsmen to become involved in shaping the way the Band is run. Our Senior Manager is responsible for all logistical and financial aspects of the Band, and is also our official link to the University. He is the person in charge of running the behind-the-scenes work within the Band. The PRD coordinates and supervises all aspects of the Band as seen from outside. 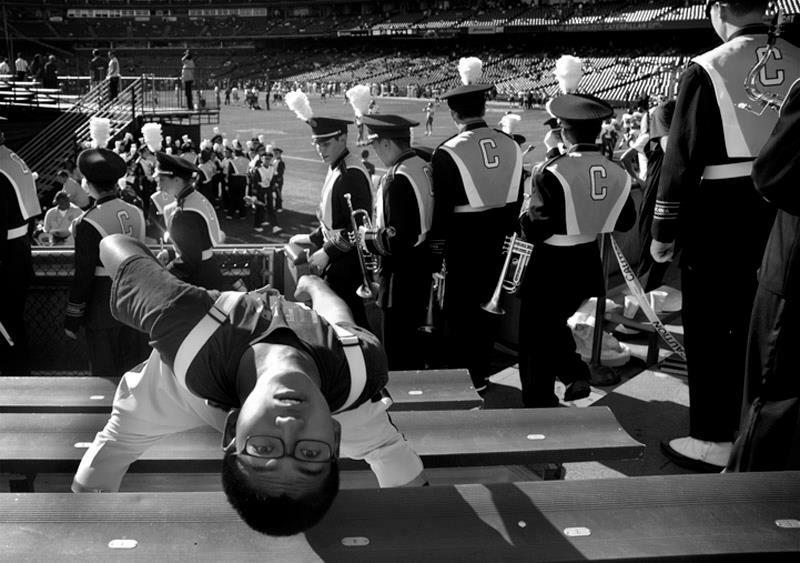 The public relations area of the Band allows members to develop their skills in photography, publicity, recruiting, design, publications, and computing by spreading the name of the Band both in and outside of the Cal community. The Drum Major and his Stunt Committee are responsible for charting full Band performances including Pregame, Halftime, and Postgame field performances. Along with the Director, the Drum Major coordinates, plans, and runs all marching rehearsals. This area of leadership is concerned with maintaining and improving the marching excellence of the Band. The Student Director leads the Band in more ways than one. Along with his Musical Activities Committee (MAC) and the Director, he helps ensure musical quality and integrity during performances. His duties include working with arrangers and copyists to secure music and with the Director, MAC, and Director’s Assistants (DAs) to ensure superior performance of the music, and handling our performance schedule and requests. The Executive Secretary is in charge of internal communications, attendance, the annual apparel order, and other projects aimed toward improving the overall experience of being in the Band. Her goal is to ensure that information from the Executive Committee is being relayed to the Band’s membership and vice-versa, via minutes, calendars, and e-mails. The Director’s specific concern is the Band’s musical quality. Music rehearsals are planned and conducted by the Director in coordination with the Student Director, Musical Activities Committee, and Director’s Assistants. For more information about Mr. Sadowski, click here. Being a new student on a new campus can be a daunting experience. Since most new students were active participants in student organizations in high school, going to a new place and trying to find the same level of involvement can be overwhelming. One of the goals of senior officers is to make newer members feel comfortable from the start. As a uniquely student-run organization, all members of the Band (including new members) hold power in the policies and functions of the Band. Student officers actively seek input and points of view from their peers. As Bandsmen continue their membership, their opportunities for involvement with the Band grow. Leadership positions may begin as soon as the spring semester, just enough time to allow our new members to get comfortable with the Band. After the fall marching season the Band actively encourages new members to pursue leadership positions in the Band. Spring is the time for training new members in the functions that second-year members traditionally hold such as musical section leaders, known as Director’s Assistants or “DAs,” and marching instructors, known as Teaching Assistants or “TAs”.